Having a boiler at home is not a luxury anymore. With time, they have slowly transformed into the quintessential necessity for every house in Canada. As the winters approach, many Canadians start looking out for boiler installation Toronto services. However, due to certain misconceptions about their maintenance and servicing, they often drop the idea at the last moment. Or at best, they buy a smaller boiler or heater that may not even fulfill their basic need of hot water. In short, they miss out on the comfort of having hot water during cold winters. That’s where HVAC contractors in Toronto come into the picture. They offer extensive range of boilers and furnaces for domestic purposes in sales. Here are 4 things every user should know about HVAC units bought from the boiler and furnace sale. 1. Is the HVAC seller reputable? There are over 100 HVAC contractors in Toronto who advertize their services and sales through various media channels. Only a handful of them actually have the full range of services when it comes to handling furnace sales. Therefore, before buying or hiring HVAC units from furnace sale, verify the reputation and certification of the seller. You can look out for things like years of service, partnership with brands, after-sales commitment, insurance cover and installation professionals. 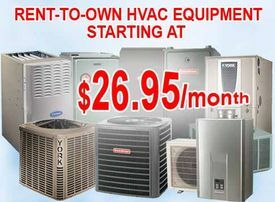 If they offer all these along with 24-7 maintenance and repair service on-call, check in the furnace sale right away. 2. Has the boiler undergone annual servicing? If you are planning to hire a furnace rental, this is the basic question you must ask upfront. Most boilers are at least 3 years old or more. Getting a boiler at the brink of the winter can be a major trouble, especially if the HVAC contractor in Toronto has missed out on its annual servicing. In order to keep the boiler in tip-top condition, top furnace sale dealers recommend that the customers take a demonstration and live operation test before buying or hiring any boiler unit. Look for boiler servicing in the last three years. If the HVAC contractor has ensured that the system gets annual maintenance, you can go ahead with the deal. The efficiency of the boilers during winters also depends on the fuel type it uses. For short-term usage, HVAC contractors in Toronto recommend electric boiler installation. They can be instantly fitted and removed. Moreover, they have instant heating operations. For larger families with multi-purpose utilities, gas or propane boiler installation is ideal. The gas regulations are another big thing to take care of before you can go ahead with a boiler installation. If you are planning to install boiler in the bathroom, local governing bodies controlling building codes would want you to have an extra cabinet fitted inside the bathroom to accommodate the boiler. Another thing to take care of is the availability of space to accommodate the inlet and outlet pipes, chimney and flue lines. Only when you have enough space in the bathroom can you take your decision to have a boiler installation in bathroom to its completion.